What is the Spectrum Award of Excellence in Customer Satisfaction? The Spectrum Award of Excellence in Customer Satisfaction was established to spotlight companies that give top-level experiences to their customers. Our research is done annually. Companies earning high ratings are honored with the award and receive a unique award page on the CBN website. On a continuing basis, our researchers scour available sources to find award candidates, looking for telltale indications that a company’s customers and clients are extremely well served and satisfied with their experience. Our research data collection casts a wide net covering both online and offline sources including blogs, review websites, social networks, and rating services. The Spectrum Award is based on CBN’s assessment, under our proprietary procedures and guidelines, of the company’s customer satisfaction performance. Our database of performance information has been compiled on an ongoing basis since 2009, so it is more than a snapshot of “What did they do last?”. Our process is designed to separate the reality from the smoke and noise to which many other rating systems succumb. No. There is no fee to be rated and paying us money does not buy you a higher rating. We publish the award status on a unique Award Page on our website at no charge to the company earning the Spectrum Award. Our ratings cannot be bought — they must be earned in the marketplace by providing superior customer service as identified by our independent research. Why does CBN research customer service levels and publish its findings at no charge? We like excellence, especially in customer service. Showcasing companies that excel will only raise the level of customer experience awareness and satisfaction in the marketplace. We publish the award status at no charge as part of our mission to promote excellence when we find it. If our rating results were influenced by payment, they would lose credibility. Not charging for the research ensures the newsworthy integrity of our research and reporting. What is the value of CBN’s research? Our publishers have been covering customer service for many years, both in the corporate setting and in smaller companies that are the most vital part of our economy. We acknowledge companies providing excellence in customer service, and recognize them publicly for buyers looking for that excellence. Now top-performing small and mid-size companies have access to objective independent research findings, and the tools needed to flourish by sharing news of their award status. How does my business benefit from the award and subsequent recognition? The Spectrum Award informs others that your past customers enjoyed superior service and satisfaction. This gives both current and prospective customers added confidence to choose your company. It also provides positive reinforcement for your staff members that their hard work is paying off, and motivates them to continue providing top-level customer service. Leverage your award news and status through our promotional programs and services exclusively available to award winners. Click here for more information. 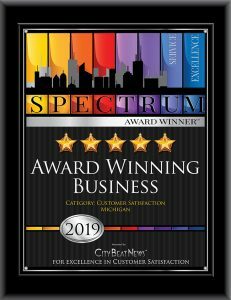 As a Spectrum Award Winner, link to and share your Award Page at no charge to promote your business. In addition you have exclusive access to marketing materials that were designed to help you manage your reputation and attract and retain customers and employees. We have several programs that will help you best utilize your award. Click here to read more. We strive to ensure top-quality products and services. 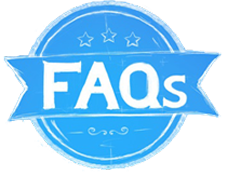 While the standard delivery time on custom products is 4-6 weeks, your materials are likely to arrive much sooner. Press releases and company profiles may take more or less time based on collaboration between our writers and your company. Our research team analyzes data from multiple online and other sources including consumer and business user-review websites, blogs, websites, social media sites, awards and certifications, industry literature and associations, nominations, and rating services. Are there any special products to thank our customers? Our employees? Yes, we have appreciation certificates and plaques designed to thank your customers as well as to recognize your staff. Learn more. What is the relationship between CBN’s rating process and its commercial services? CBN markets promotional services to award-winning companies, but there are no “points” to be earned in our rating system for companies that retain our services, and no rating penalty for those that do not. The revenue from sales of our promotional services does underwrite the staggering cost of data collection and analysis. But in terms of their value to Award winners, based on increasing the revenues and profitability of those winners, our promotional services always stand on their own merits.